Featuring Pastor Rev. V. Jessie Smith, Pension Plan Coach Mr. Pankaj Dayal and the world’s best black gospel music. Welcome to Gospel for the Glory of Jesus. We have some of the world’s best black gospel music, Mr. Pankaj Dayal from PNR Financial Services speaking about Pension Plan design, implementation and monitoring. Pastor Rev. V. Jessie Smith with a Word from the Lord entitle ‘Set Loose for the Master’s Use’. ‘This Is Your Winning Season’ Come Worship the Lord with us. I have some of the best gospel music in the nation and Pastor Rev. V. Jessie Smith teaches on your season for winning. Romans 8:25: But if we hope for what we do not yet have, we wait for it patiently. Come worship the Lord with us. We have music for the season and Pastor Rev. V Jessie Smith with a Word from the Lord on blessings that come your way while you are waiting on the Lord. 2 Corinthians 5:17 Therefore if any man be in Christ , he is a new creature: old things are passed away; behold all things are become new. Come Worship the Lord with us. We have some of your favorite Gospel Hits and Pastor V. Jessie Smith speaks on being set loose for the Master’s use. Posted on 03 September 2017. Welcome to Gospel for the Glory of Jesus. 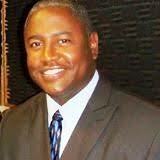 Pastor V. Jessie Smith brings the word in this hour of your favorite Gospel Music and the Word of God. It’s time to go to Church so we invite you to worship the Lord with us!